The appendix has long been considered a useless, vestigial organ, primaril y based on the fact that it can be removed with no visibly harmful effects on the appendectomy recipient and that it is rather susceptible to severe inflammation. In fact, many theories have been proposed for its ancient purpose, ranging from being a place to allow plant matter to ferment to being a locale for crushed bones to be dissolved. However, recent evidence posits that the appendix plays a crucial role in maintaining important gut symbionts. A recent report by Smith et al compares the structural features of the appendix across various mammalian species, and uses this comparison to further elucidate the function the appendix. It has been known for a few years that the lymph tissue in the appendix has played an important role in the immune-regulation of gut symbionts. The tissues in the appendix actively promote and support biofilm growth with various secreted effectors to a significantly greater degree than the rest of the gut. 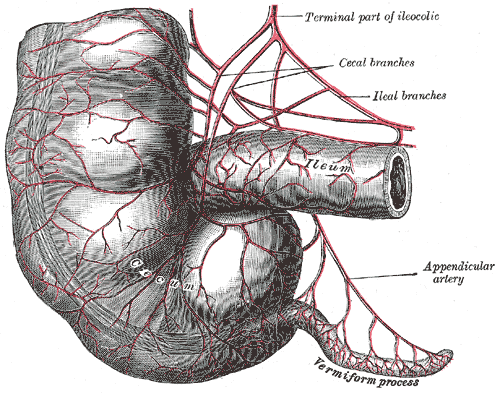 Structurally, the appendix is in relative isolation from the rest of the gut, bounded by a rather constricted opening and narrow lumen. This, coupled with the above observations, suggest a role for the appendix in maintaining important gut symbionts during in an immune response to gut pathogens, or to the diarrheal effects of certain pathogens. Due to the unique structure of the appendix, symbionts within this structure would be more likely to survive such conditions and be capable of re-colonizing the gut following pathogen clearance. The authors show, through comparative structural analysis, that in many mammals the structure of the appendix is similar, with differences occurring due primarily to the greater gut structure (a product of the mammals diet). Furthermore, they show that some animals may have lost the appendix, but that in other clades, its presence has been maintained for tens of millions of years. Ultimately, these observations show that the appendix is far from useless and vestigial. Though this does raise questions about those individuals who have had their appendix removed. Is there a higher incidence of post-antibiotic treatment Clostridium difficle infections, or inflammatory bowel diseases? Or are appendix-less individuals more susceptible to adverse reactions and longer recovery times following diarrheal illnesses like norovirus, Salmonella, or cholera infections? With respect to the association between previous appendicectomy and inflammatory bowel disease, studies have actually demonstrated an inverse correlation. The reason is unclear, but there are speculations about whether it is related to the lymphoid function of the appendix. As far as I am aware, there is no evidence to suggest any association between previous appendicectomy and the risk or severity of infectious diarrhoea. I suspect its role in the repopulation of bowel flora following disease would be modest in modern society, in which bowel flora can be easily repopulated with bacteria acquired from other people and the surrounding environment. Furthermore, bowel flora is only one of the multitude of factors influencing the outcome of intraabdominal infection, and the nature of its influence is not straightforward. Indeed, gut commensals can have a protective effect against infections such as pseudomembranous colitis, but they can also cause infection, being implicated in diverticulitis, appendicitis, cholecystitis, and other forms of intraabdominal sepsis. Hence, I doubt the influence of the appendix on infectious diarrhoea is likely to be of much clinical significance.